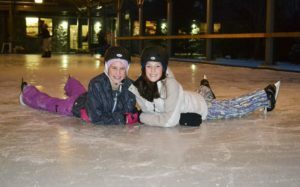 Our winter camps are filled with all the fun and friendships of our summer residential program, but are only a weekend long and campers will have the opportunity to try great outdoor activities if they choose. Some of the activities include snowshoeing, cross-country skiing, ice skating and sleigh rides. 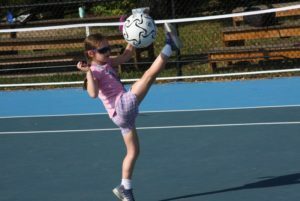 At winter camp the campers will have a choice of an indoor and outdoor activity each hour. Children ages 7-17 who have or have had cancer and either live in the State of Vermont or are treated in the State of Vermont. During this weekend, we have great plans for mothers of children who have or have had cancer – we will offer these moms a relaxing weekend which will include spa treatments, relaxation, pampering and discussion sessions. Walks and great food are also on the agenda. Each mother will also receive a special gift, something such as a Camp Ta-Kum-Ta tote bag with their very own Camp Ta-Kum-Ta spa robe. This weekend is being offered free of charge to all of our moms who have had a child attend our camp. However, space is limited to only 20 moms. 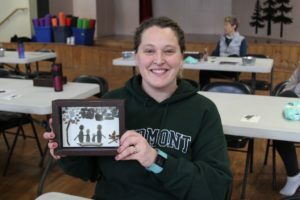 Mothers who have had a child participate in a Camp Ta-Kum-Ta Program. This program is open to mothers of children up to age 17 and have or have had cancer and either live in the State of Vermont, or Northern New York or are treated in Vermont. Camp Ta-Kum-Ta holds an annual reunion to welcome back our campers and their families prior to our summer camp! This is a fun afternoon filled with face painting, music, a BBQ and lots more! Our signature program is a week-long summer session where kids partake in traditional camp activities such as swimming, athletics, a ropes course and use their creativity in arts & crafts. 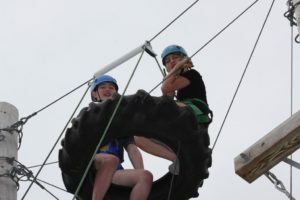 Camp Ta-Kum-Ta offers once-in-a-lifetime opportunities such as rock climbing expeditions, hot-air balloon rides, formal dances as well as cruises on beautiful Lake Champlain. 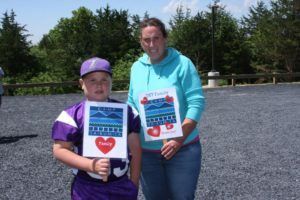 Children ages 7-17 who have or have had cancer and live in the State of Vermont or are treated in the State of Vermont. 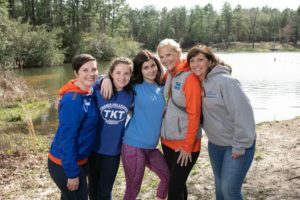 Camp Ta-Kum-Ta in South Hero, Vermont and Camp Rap-A-Hope in Mobile, Alabama are the first Pediatric oncology camps to create an exchange program. The past two winters two campers and two counselors from Camp Rap-A-Hope came to Vermont and participated in one of our Winter Programs. It was such a SUCCESS that Camp Rap-A-Hope wants some of Camp Ta-Kum-Ta’s campers to experience one of their programs. Camp Ta-Kum-Ta has sent two campers and two counselors down to Camp Rap-A-Hope for their Teen Weekend which is held in February! Camp Rap-A-Hope has an excellent staff lined up, new art projects and many activities to produce a weekend of fun and memories. This will be an excellent way to have Camp Ta-Kum-Ta’s campers to experience Camp Rap-A-Hope, create lifelong memories and make new friends. Children at least age 17 who have successfully completed at least one year of our traditional summer program or a Winter Weekend. Children must have graduated from Camp Ta-Kum-Ta within the past year. We will have our 3rd Annual Dad’s Weekend in 2019. This weekend is being offered free of charge to our dads who have had a child attend our camp. However, space is limited to only 20 dads. 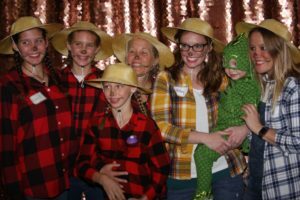 Our Holiday party is filled with all the fun and friendships of our other year-round programs, but this event opens Camp Ta-Kum-Ta up to not only the campers but also to their families. This event takes place from 2:30 to 5:00 pm. It allows campers and their families the opportunity to eat festive food, participate in fun activities and try great outdoor activities. 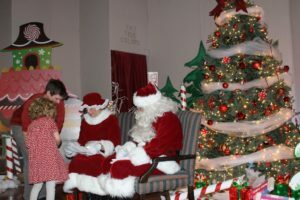 Some of the activities will be: snowshoeing, cross-country skiing, ice skating and sleigh rides. Make a Donation TODAY to support our year-round programs. 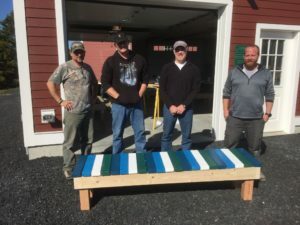 Click here for our secure giving page.